I can’t remember the last time I used Clinique’s product, be it skincare or makeup, that I personally picked myself because I want it and not because I have it as a press product package. Not because the brand is not good but because it’s among one of the first few brands that I tried during my teenage years which I continue to used for the next 10 years. By the end of it, I was literally sick and tired of the brand and I want to explore the big new world of beauty brands out there and kiss Clinique good bye. 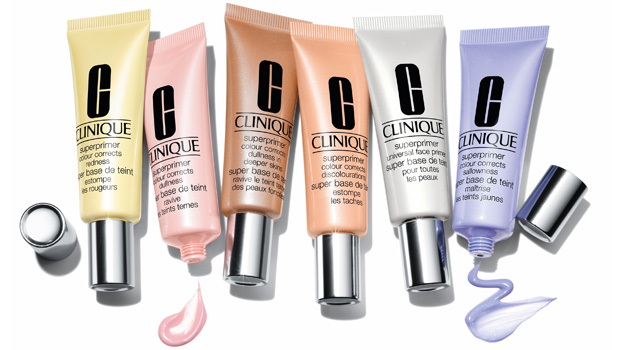 But for the past one year, more and more Clinique products have making its comeback to my makeup collection steadily. Starting with the cult favourite chubby stick that is just to die for because it’s very moisturising and I love the crayon-like packaging which is uber simple. I have several colours now and have been eyeing for the intense version that gives a more pigmented finish compared to the original that is more sheer in colour. The Repairwear eye cream surprisingly is as loveable. I love that it’s dense in formulation and turns to watery upon contact with skin. Of course the much talked about CC Cream is the belle of the ball. I love how it gives sheer to medium coverage and the dewy finish that people love about BB Cream but without the greyish or beige undertone as well as the wide array of tone available. But much to my surprise, I’ve just recently tried the newly available foundation from Clinique in Indonesia which is Even Better Foundation and though the finish is quite matte and with buildable coverage from medium to full, but it’s not too stiff looking on my dry skin. I hate matte-finished foundation because it always accentuate how dry my skin look like, but this one doesn’t. It feels comfortable on my skin. Though application wise because it dries easily, you need to apply it to well-moisturise skin and very quickly, small amount and area at a time if you don’t want streaky or uneven looking complexion. 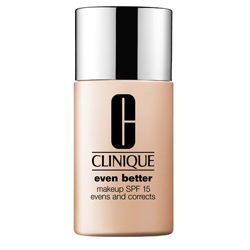 It lasts the whole day and even after Pilates session even without primer. But of course I have dry skin and it would be easier for foundation to stay on longer on my skin. But the good news is that it doesn’t look patchy at all comes night time. I think I already have a new Clinique item on my wishlist. What do we have here? A primer? After fitting into the jeans that I bought three years ago. Found another item that I’ve never been able to fit into because when I bought it, I always thought that I’m gonna loose some fat and be able to fit into it. Someday. And with that said, you’re going to be my next target! Cliche I know. But all good things must come to an end. So does my gig with Fashionese Daily. It’s been more than two months since my departure and I can’t believe it’s been that long already. Maybe also because we had the lebaran break which then followed by a short getaway. Do I miss the old gig. Every. Single. Day! Never thought of it as a job but rather a family and exactly for that reason, I never really thought of it as a goodbye. Because after all I still contribute articles for them and go to the FDHQ twice a week for Pilates sessions. Despite all that, I must say, I quite enjoy the new gig 🙂 I think I just need new things to do. New challenges. Something to keep my brain sharp. All the excitement of the newly run business and all its challenges keep my mind fresh and sharp, though at times could be very tiring. All I can say is that it’s exactly what I need at the moment. A moment where I’m about to create my own business venture.